Serving the Livermore and Tri Valley area, Positive Plumbing Services & Drain Cleaning has been family owned and operated since 1993. 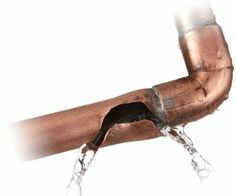 We focus and large to small jobs, including remodels, drain cleaning, leak repairs, water heaters, and many more plumbing services. Since the company’s formation we have focused on bringing the Livermore Tri-Valley top rate plumbing services at a competitive price. Always using top brands and quality materials we make sure the job is done right the first time. The company’s founder, Seth is a service and repair plumbing specialist, drain work expert, bathroom & kitchen re-model expert, re-pipe specialist, gas line expert, and water heater specialist with nearly three decades plumbing experience. We service the entire Bay Area but prefer to stay local and focus on the needs of the Livermore Tri-Valley area.